2 Weeks After Giving Birth!! 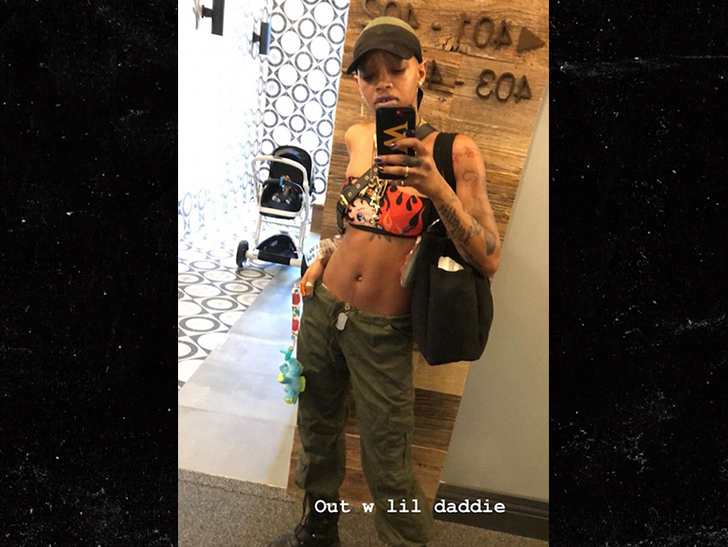 Slick Woods pulled the biggest shocker of NY Fashion Week — besides Cardi B and Nicki Minaj — when she went into labor at Rihanna‘s show, and 2 weeks later … she’s ready to hit the catwalk again! The model is flaunting her post-baby bod, and you can totally see why. The baby bump’s in her rearview, and her abs are fully toned. Checking out Slick now, it’s crazy to think back on how she looked walking the runway at the Savage X Fenty show 2 weeks ago … when she went into labor backstage! The 22-year-old has seen her star rise since her surprise delivery, and we think Slick could rock the runway right now. The baby boy is named Saphir, and his dad is model Adonis Bosso. Kid’s got great genes.